When you simply must look your best choose this elegant lace overlay dress by Vera Mont. 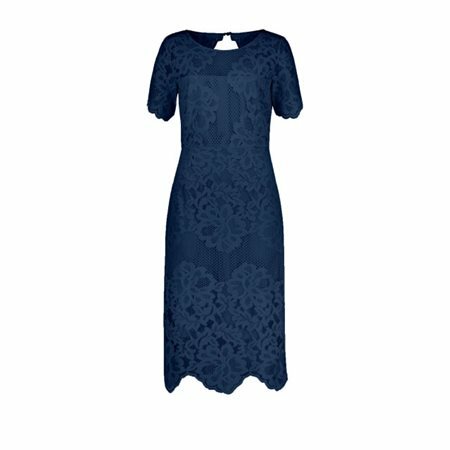 This dress has been beautifully made from a rich navy coloured fabric that sits perfectly. The lace overlay gives this dress a sophisticated look and the tailoring is superb. The dress is fitted at the waist and the capped sleeves are ever so elegant. This dress would be a great choice for any special occasion, it is timeless and graceful.